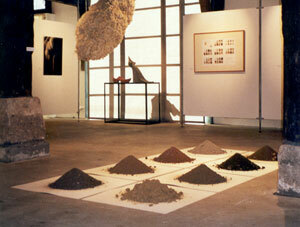 Böhm succeeds in being selected as one of 76 artists out of 300 in March 2002. 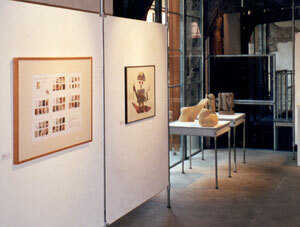 One of the copies of the deluxe edition of Seven days of Bild is exhibited during the Kunst '02 in the city museum at the Kornhaus in Tübingen. "(...) It's impossible to present every entries and ideas. One, at least, leaves the too narrow walls of the Kornhaus: Benjamin Böhm's weekly-witty field-study "Seven days of Bild" is exhibited (...) in this group exhibition. It's presented there for 350 Euro. 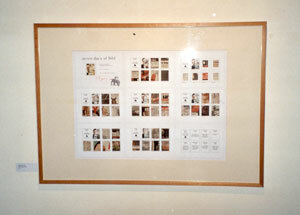 At the Internetauction ebay the Fluxus-artist who emulates David Dellafield (sic!) offers another copy for just nine dollars. Nobody bid yesterday at time going to press. Tha uction will end this saturday afternoon: Fast deciding, please click immediately." (Schwäbisches Tagblatt 2.3.2002). Winner of the auction was the author of the newspaper-article.